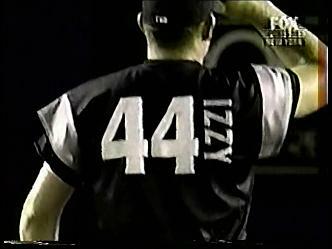 • Jason Isringhausen’s surname wouldn’t fit on his Mercury Mets jersey, so instead they went with “Izzy,”, making him one of the handful of MLBers who’ve worn their nicknames on their jerseys. 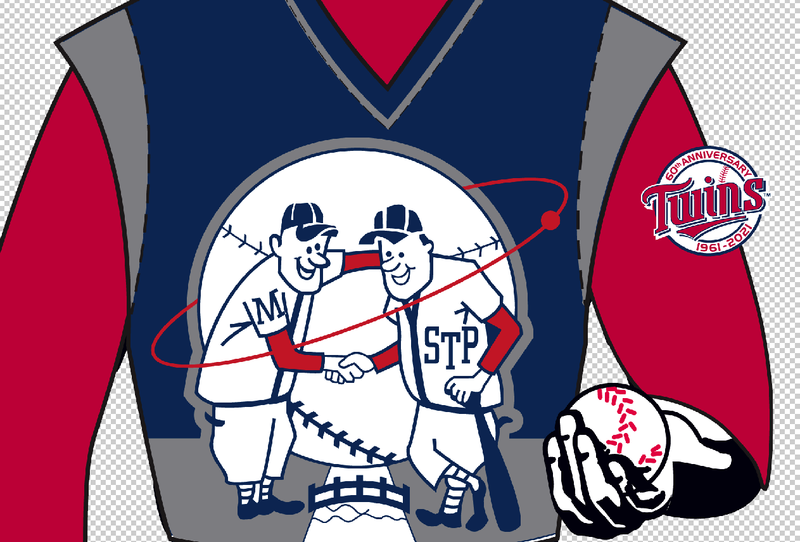 • Since the TATC games were supposedly being played in 2021, the Twins wore a 60th-anniversary patch. 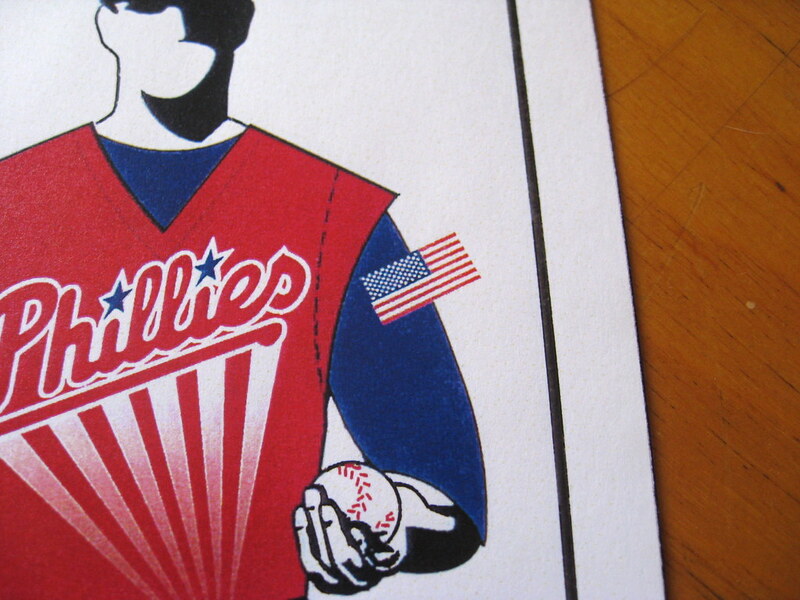 • The Phillies, perhaps anticipating the revival of Manifest Destiny, were supposed to wear a 77-star American flag as a sleeve patch. 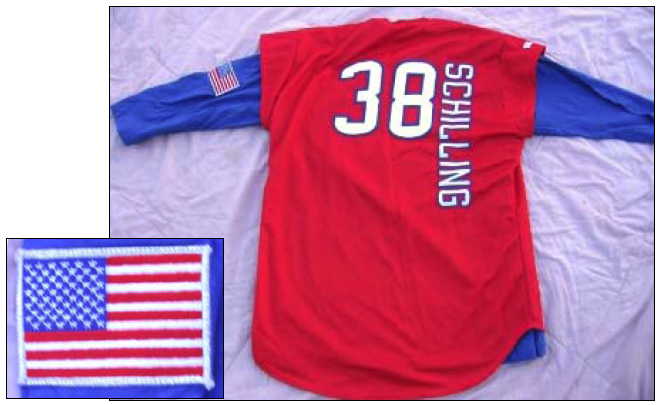 The actual patch, however, had only 60 stars. 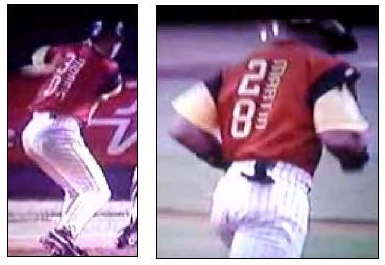 • Almost all the TATC teams used vertical type for the player names on the back of each jersey. 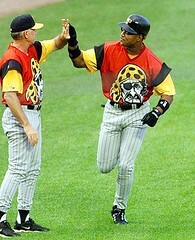 But the Pirates went further, using vertically stacked uni numbers. 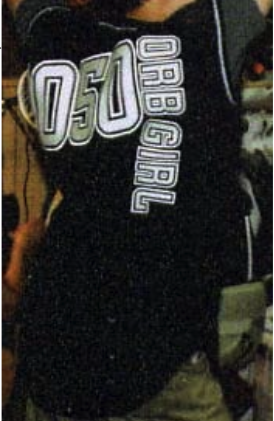 • The Orioles called their ball girls “orb girls” for the occasion. 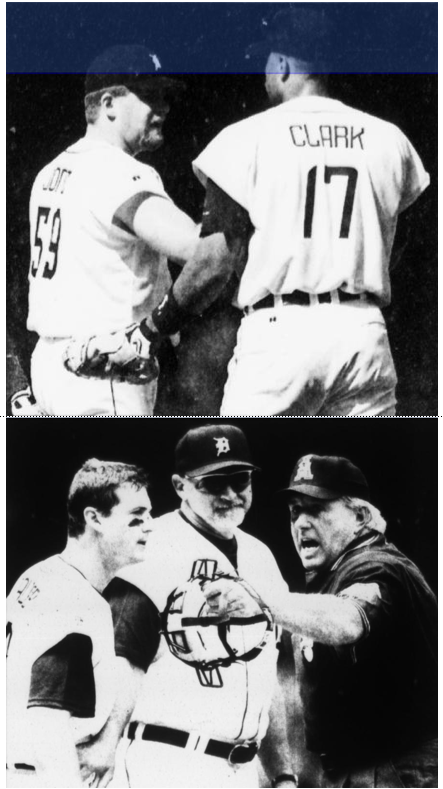 • The final game in the TATC series, slated for Sept. 18, 1999, at Fenway Park, was scuttled because the shipment of Red Sox uniforms was delayed by Hurricane Floyd, so the Bosox and Tigers just wore their regular uniforms. The Sox jerseys were nothing special, but it’s worth noting that their futuristic cap design was very similar to the new alternate cap they introduced this season. The future is now! 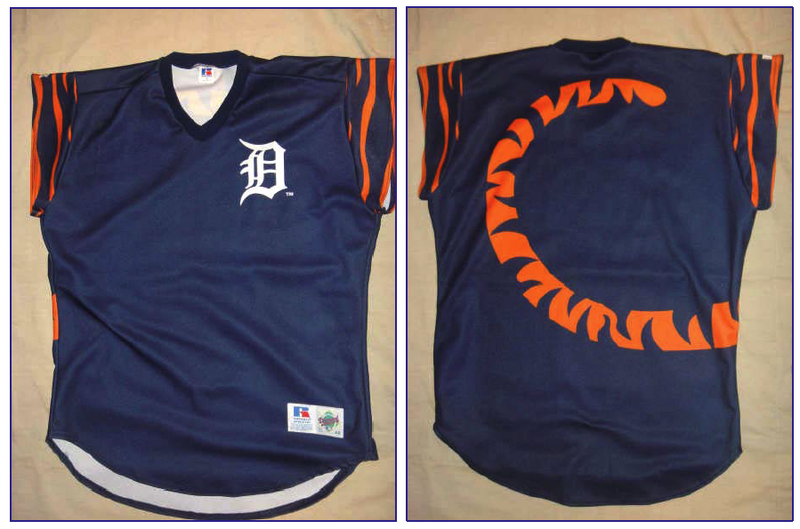 • The Tigers had already played a TATC game in Detroit on July 22, and their uniforms for that game weren’t very futuristic. 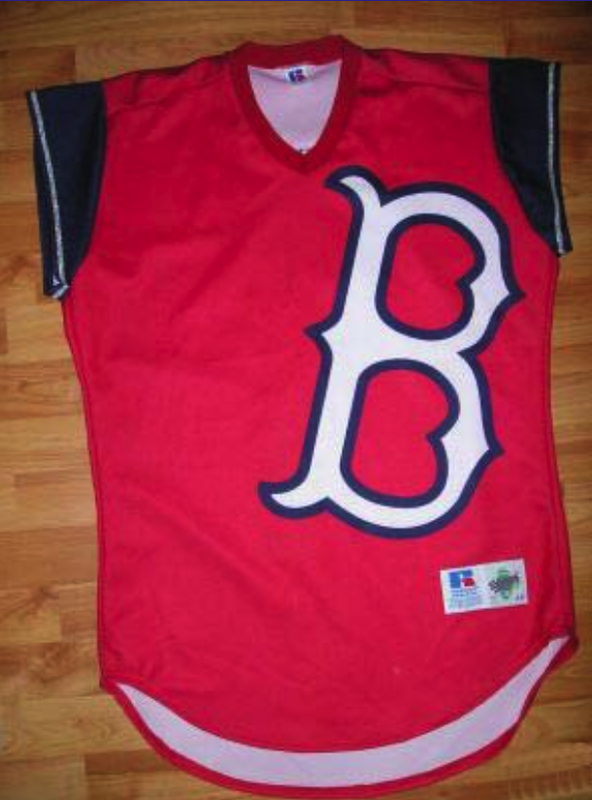 But they were supposedly going to wear something much more interesting for that September game at Fenway. Unfortunately, that design never made it onto the field.